You do some promotional work at an ice hockey tournament of course. 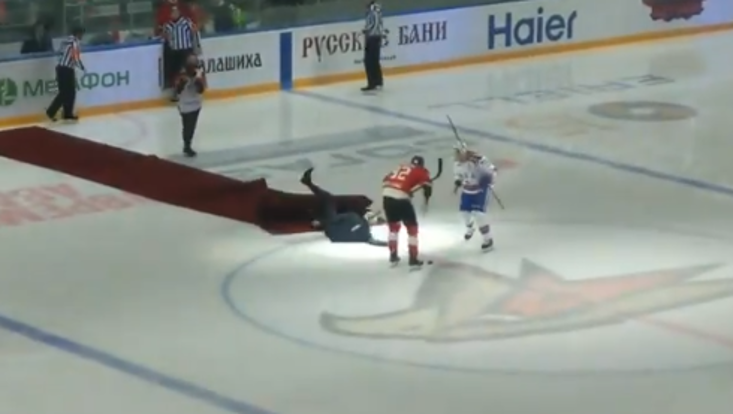 It was an embarrassing moment for former Manchester United manager Jose Mourinho as he slipped after presenting a symbolic face-off to a match in Russia's Kontinental Hockey League on Monday. And now, the Portuguese appears to be working for Avangard Omsk, a Siberia hockey team. The 56-year-old has been without a club since December when United fired him for poor results.